Kildare based AgTech company TERRA NutriTECH is one of just ten companies from around the world to be selected for the prestigious Pearse Lyons Accelerator Programme. 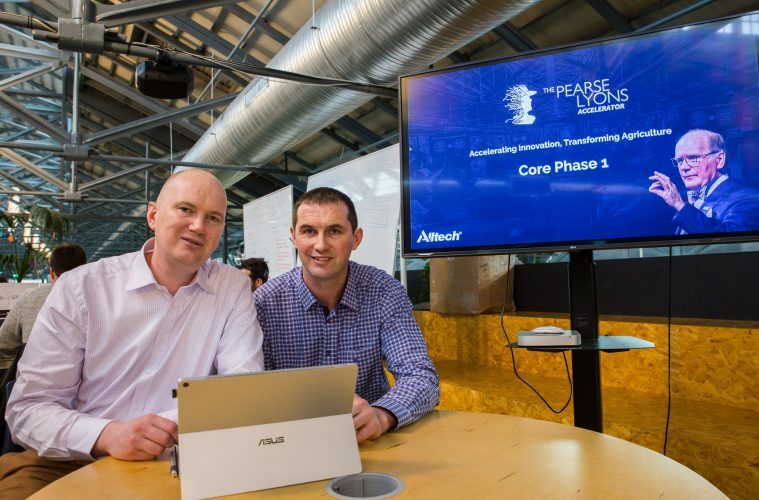 Specialising in precision delivery of liquid supplementation for livestock through water systems on farms, the family-run company who now have a five per cent penetration within the Irish Dairy Mineral Market, will work with Alltech and partners Dogpatch Labs. Now in its third year, a record-breaking 251 start-ups from 53 countries applied to be part of The Pearse Lyons Accelerator. Their aim is to accelerate the business development of each of the ten selected companies culminating with the start-ups presenting on the main stage at ONE: The Alltech Ideas Conference in Lexington, Kentucky, USA in May. More than 4,000 Agri industry leaders from over 70 countries will be in attendance. The Pearse Lyons Accelerator was the brainchild of the late Dr Pearse Lyons, founder of animal nutrition company, Alltech. In the early 1980s, he developed the company in his garage beginning with just $10,000. “Through the Pearse Lyons Accelerator we carry on my father’s the legacy, his entrepreneurial spirit and his desire to empower the next generation of entrepreneurs who are transforming the face of agriculture,” said Mark Lyons, president and CEO of Alltech. Based in rural Moone, Co. Kildare, TERRA NutriTECH, a family run company recently announced news of a €2 million investment towards Research and Development and global expansion plans. The innovative technologies were developed by brothers Tom and Padraig Hennessy who founded the company in 2012. Farmers are the beneficiaries of their product design with important elements being the accurate delivery of supplements, elimination of waste and labour reduction which leads to improved herd health and higher farm profitability. This new accolade follows on from Terra NutriTECH being awarded the overall winner of the National Enterprise Awards, a first for a Kildare company and winners of the Google Adopt-a-Startup program 2018. These awards reflect the progress Terra NutriTECH continues to make with its innovative and disruptive technologies. “What makes this accelerator unique is the commitment from Alltech’s leadership to actively mentor the start-ups. This now includes our president and CEO, Dr Mark Lyons who is directly involved in the programme and sees collaboration through innovation as a key growth strategy for Alltech,” said Robbie Walker, Alltech’s Programme Director of The Pearse Lyons Accelerator. “Alltech has always been a thought leader in the industry and the focus is bringing the latest and greatest innovations to their customers. Running the accelerator gives an opportunity to learn about these new technologies and showcase them to customers”. – SomaDetect (Canada) – In-line sensor that measures every critical indicator of dairy-quality (fat, protein, somatic cell counts, progesterone, and antibiotics) from every cow at every milking. – Higher Steaks (United Kingdom) – Using state-of-the-art cell culture techniques, a small sample of cells from an animal will be expanded by feeding these cells, when these cells have grown they become the desired meat product. – SwineTech (United States) – SwineTech is the world’s leading solution to reduce piglet crushing and pre-weaning mortality, and for monitoring sow health. – Breedr (United Kingdom) – The world’s first app for livestock farmers that uses shared data to optimise yield, quality and profitability. – Biome Makers (United States) – Measuring crop health and functional biodiversity by using DNA sequencing and Intelligent Computing. – Global Resonance (United Kingdom) – Bringing real-time data from end-to-end chain directly into business systems. – Terra NutriTECH (Ireland) – Precise feeding supplements into the water systems on farms reducing labour and improving returns. – FOLIUM (United Kingdom): Removal of feed bacteria via CRISPR. The accelerator culminates with the start-ups pitching to more than 4,000 attendees and some of the premier global thought-leaders in agriculture on the main stage of ONE: The Alltech Ideas Conference in May 2019 in Kentucky, USA.